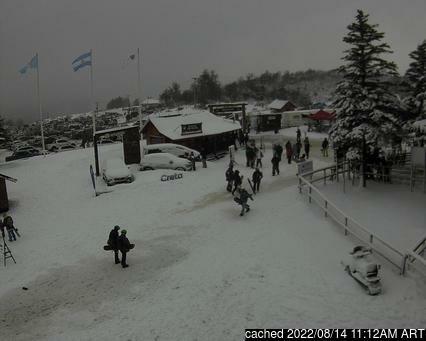 Is it snowing in Chapelco ?Thank you! Issued: 8 am 19 Apr 2019 (local time). 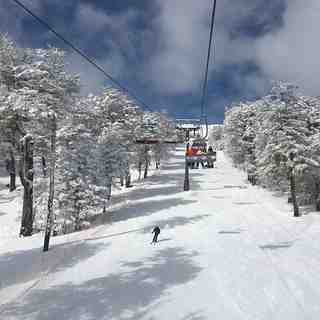 The snow forecast for Chapelco is: Mostly dry. Very mild (max 17°C on Sat afternoon, min 5°C on Fri morning). Wind will be generally light. Chapelco Weather (Next 3 days): The snow forecast for Chapelco is: Mostly dry. Very mild (max 17°C on Sat afternoon, min 5°C on Fri morning). Wind will be generally light. Chapelco Weather (Days 4-6): Moderate rain (total 12.0mm), heaviest on Wed night. Very mild (max 18°C on Mon afternoon, min 7°C on Mon night). Wind will be generally light. Moderate rain (total 12.0mm), heaviest on Wed night. Very mild (max 18°C on Mon afternoon, min 7°C on Mon night). Wind will be generally light. Mostly dry. Very mild (max 17°C on Sat afternoon, min 5°C on Fri morning). Wind will be generally light. The above table gives the weather forecast for Chapelco at the specific elevation of 1251 m. Our sophisticated weather models allow us to provide snow forecasts for the top, middle and bottom ski stations of Chapelco. To access the weather forecasts for the other elevations, use the tab navigation above the table. For a wider view of the weather, check out the Weather Map of Argentina. in or near San Martín de los Andes? Qué lindo el comentario anterior, cómo no va a decir que es el mejor centro de esquí (así se escribe en castellano) si el comentarista tiene el mismo apellido que el de la familia dueña de la empresa Chapelco. Casualidad? The Chapelco skiing weather widget below is available to embed on external websites free of charge. It provides a daily summary of our Chapelco snow forecast and current weather conditions. Simply go to the feed configuration page and follow the 3 simple steps to grab the custom html code snippet and paste it into your own site. You can choose the snow forecast elevation (summit, mid-mountain or bottom lift) and metric/imperial units for the snow forecast feed to suit your own website…. Click here to get the code.